On December 13, Adam Marcus presented the paper "Buoyant Ecologies: Material Logics for Sea Level Rise Adaptation" at the conference Sustaining the Seas: Fish, Oceanic Space, and the Politics of Caring at the University of Sydney in Australia. 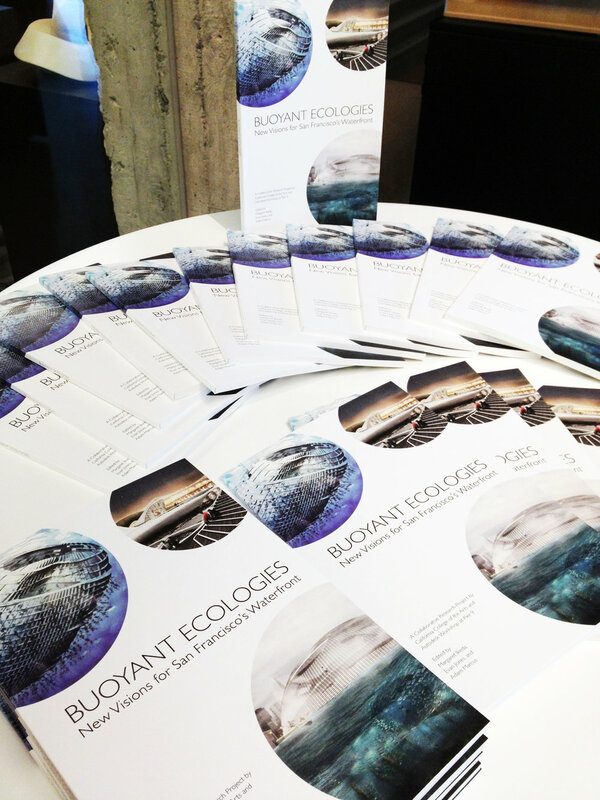 The paper presents the material-driven research of the Buoyant Ecologies project. The research brings together architects, marine ecologists, fabricators, and public agencies to develop innovative strategies for designing and constructing ecologically sensitive waterfront structures. The conference, hosted by the University of Sydney Sustainable Fish Lab, features a range of speakers, including scientists, activists, and artists. For more information, see the conference website. The team presented three proposals for investing in the San Francisco Bayland ecosystems to buffer vulnerable communities and species from the threats of sea level rise. The proposals incorporate research into ecologically performative materials, floating breakwaters, and aquatic species that CCA faculty Adam Marcus, Margaret Ikeda, and Evan Jones have been developing as part of the Buoyant Ecologies project. All projects are posted here and open to public feedback and comment until December 7, 2017. Public Sediment is a multidisciplinary design team that views sediment as a core building block of resilience in San Francisco Bay. The team is led by SCAPE Landscape Architecture and includes the Buoyant Ecologies team, the Dredge Research Collaborative, Arcadis, TS Studio, the UC Davis Department of Human Ecology and Design, and the UC Davis Center for Watershed Sciences. 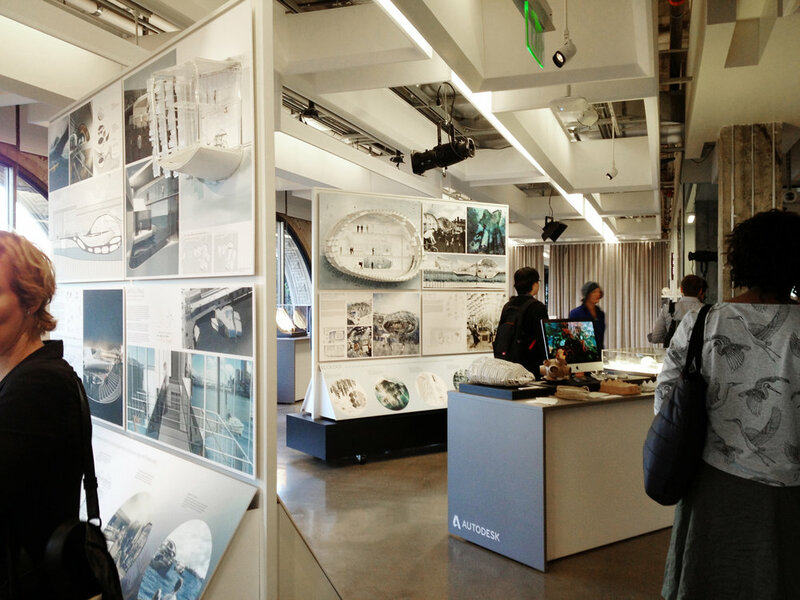 On October 27, CCA faculty Adam Marcus, Margaret Ikeda, and Evan Jones presented the Buoyant Ecologies Float Lab at the "Designing Material Innovation" symposium at California College of the Arts in San Francisco. The symposium convened leading figures from multiple fields to discuss projects that exemplify new approaches to material, fabrication, and design. The presentations and panels featured nationally and internationally distinguished speakers from architecture, engineering, industry, and materials science. The symposium was organized by Jonathan Massey of the University of Michigan's Taubman College and included a keynote presentation by Philippe Block of ETH Zurich. Presenters included Michael Bell of Columbia University, Michelle Kauffman of Google, Matthias Kohler of Gramazio Kohler, and many more. The Buoyant Ecologies Float Lab, a project designed by CCA faculty Adam Marcus, Margaret Ikeda, and Evan Jones, is featured in the exhibition Designing Material Innovation, which runs from September 28 to December 23 at California College of the Arts in San Francisco. The project is a prototype for a new kind of resilient coastal infrastructure: floating breakwaters that incorporate an ecologically optimized fiber-reinforced polymer composite substrate to mitigate wave action and contribute to marine diversity. 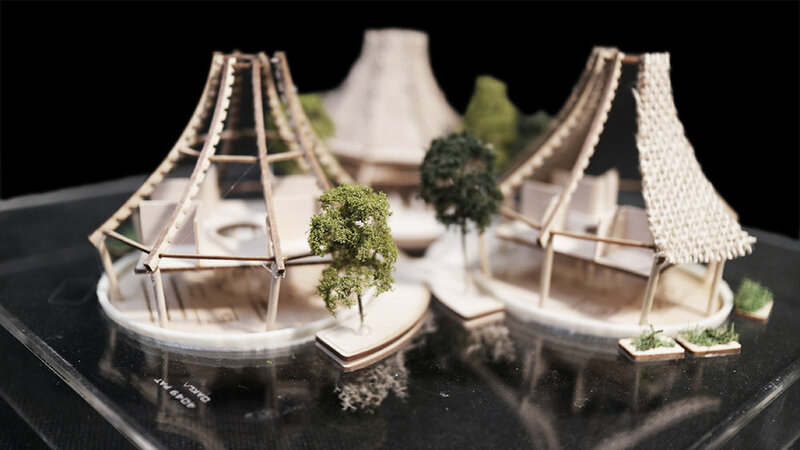 Designing Material Innovation, an exhibition and symposium organized by Jonathan Massey, exhibits five full-scale architectural prototypes and pavilions that exemplify new approaches to material, fabrication, and design. Created through collaborations between architects and industry partners, these works combine technological innovation in materials research and fabrication with aesthetic and ethical approaches to form and appearance. The exhibition is designed by Clark Thenhaus / Endemic and, in addition to the Float Lab, features projects by T+E+A+M, APTUM Architecture, Matter Design, and Matsys. The Float Lab project is a partnership with the Benthic Lab at Moss Landing Marine Laboratories and Kreysler & Associates, a global leader in composites manufacturing. It builds upon three years of research and proof-of-concept prototypes that have been installed and monitored underwater for their ecological performance. The exhibition runs through December 2017, and the Float Lab will be deployed in the San Francisco Bay in 2018. 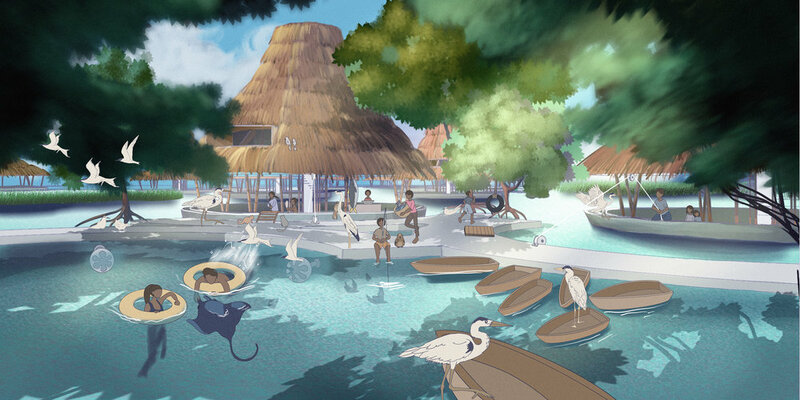 Public Sediment, which includes Buoyant Ecologies faculty Adam Marcus, Margaret Ikeda, and Evan Jones, has been chosen as one of ten teams to participate in Resilient By Design’s Bay Area Challenge. The challenge is a collaborative research and design project that brings together local residents, public officials and local, national and international experts to develop innovative solutions to the issues brought on by climate change that our region faces today. 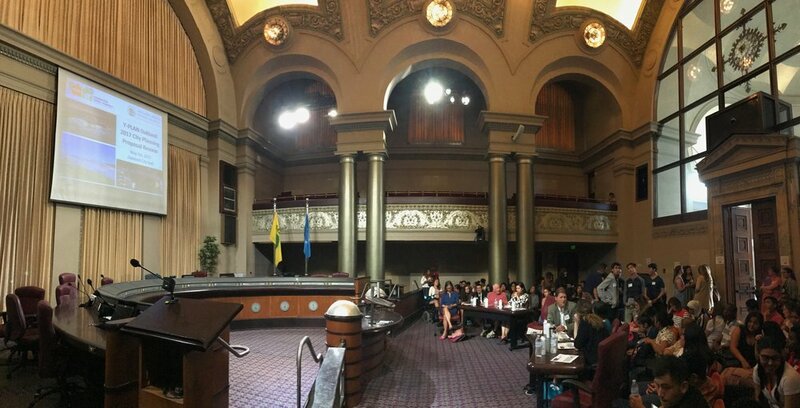 Over the course of the next year, engineers, architects, designers and other experts will work with local community members to identify critical areas throughout San Francisco’s Bay Area in order to provide solutions to the region’s sea level rise, severe storms, flooding and earthquakes. The result will be 10 new implementable projects that offer an imaginative and collaborative approach to resilience. Public Sediment is led by SCAPE Landscape Architecture, a winner of the New York City Rebuild By Design competition. The team is a multidisciplinary collaboration that views sediment as a core building block of resilience in San Francisco Bay. In addition to SCAPE and the Buoyant Ecologies group, team members include the Dredge Research Collaborative, Arcadis, TS Studio, the UC Davis Department of Human Ecology and Design, and the UC Davis Center for Watershed Sciences. 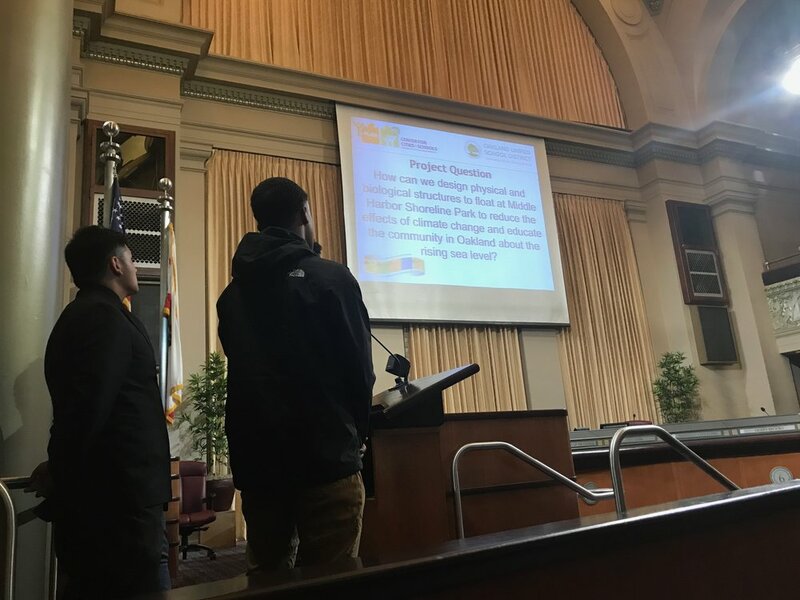 On May 1, students from Oakland's Skyline High School presented their design proposals for ecological enhancements at Middle Harbor Shoreline Park in Oakland. This spring, CCA faculty member Margaret Ikeda has been leading a collaborative pilot project in collaboration with Oakland Unified School District and Y-PLAN at the UC Berkeley Center for Cities and Schools, and with financial support from the Port of Oakland's Community Investment program. 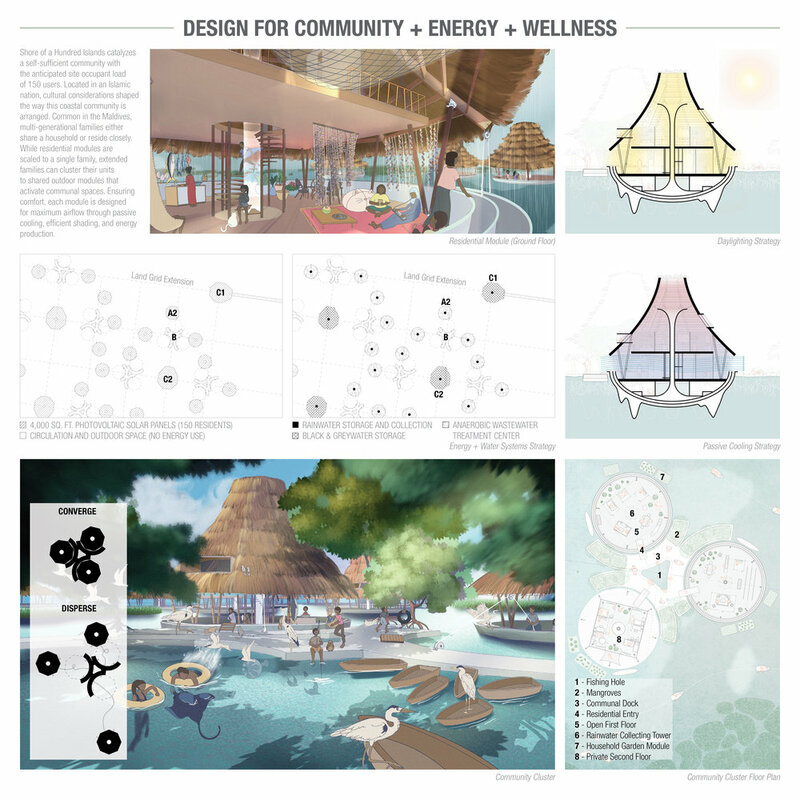 The project consists of a "plug-in" curriculum module in which 85 high school students participate in ecological design exercises that build upon the Buoyant Ecologies research at CCA's Architecture Division. This work is taking place at Middle Harbor Shoreline Park, a recreational area developed by the Port of Oakland as a public resource dedicated to environmental research and education. The students presented their final projects to an audience of legislators and community representatives. 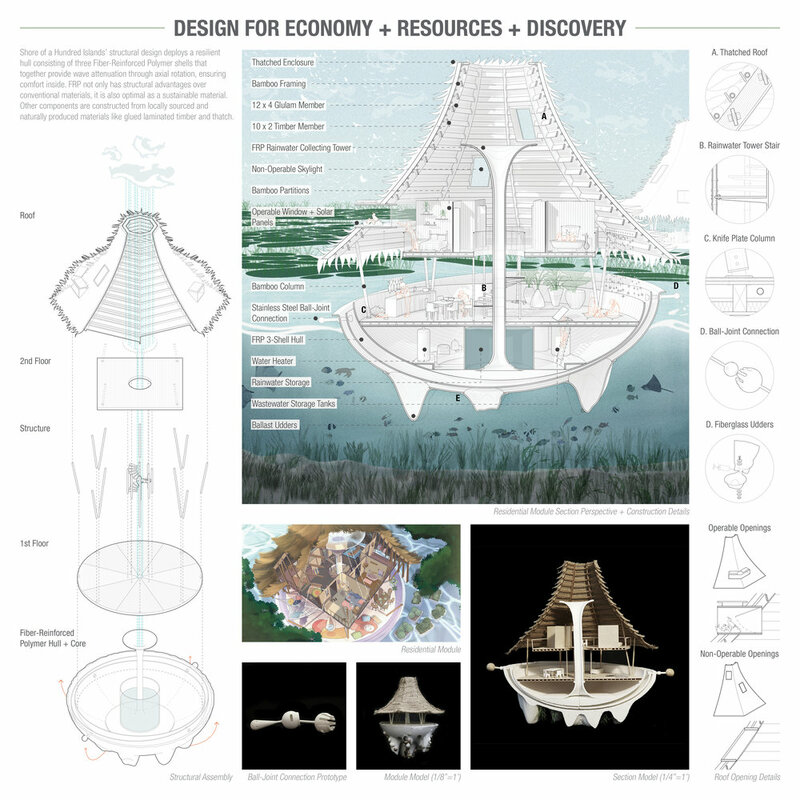 The Buoyant Ecologies research into optimized ecological substrates led by Adam Marcus, Margaret Ikeda, and Evan Jones, was featured in "Posthuman Frontiers: Data, Designers, and Cognitive Machines" — the juried exhibition accompanying the 2016 conference of the Association for Computer Aided Design in Architecture (ACADIA), hosted this year by University of Michigan's Taubman College of Architecture and Urban Planning. The opening reception for the exhibition was held on Thursday, October 27 at the Liberty Research Annex Gallery in Ann Arbor. On October 5, students from two CCA Advanced Studios conducted a workshop and discussion on resilient design with visiting students from the University of Pennsylvania. The Win/Win studio led by Janette Kim and the Buoyant Ecologies studio led by Adam Marcus, Margaret Ikeda, and Evan Jones joined students from the Bay Area Resilient Transportation studio led by Kai-Uwe Bergmann and Matthijs Bouw to share research and discuss different approaches to the challenges of climate change and sea level rise. 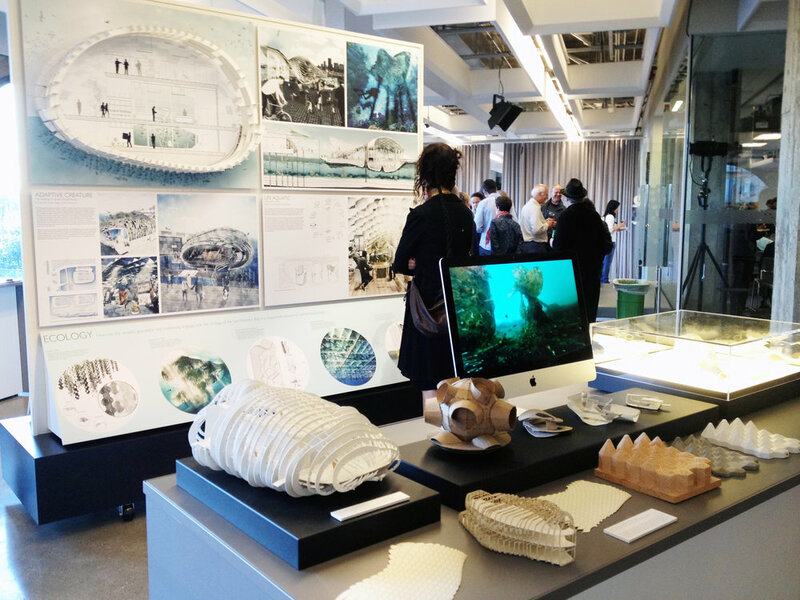 On March 31, the Buoyant Ecologies exhibition opened at the Autodesk Gallery in San Francisco. 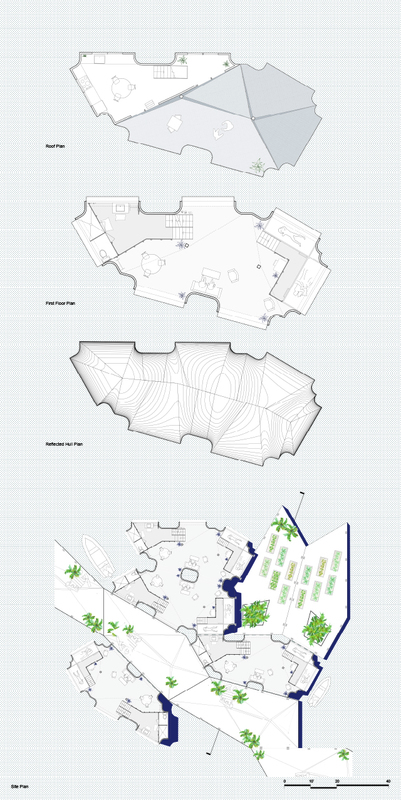 The exhibition displays the work by students from the fall 2014 CCA Architecture Integrated Studio taught by faculty Adam Marcus, Margaret Ikeda, and Evan Jones. The studio explored speculative proposals for a floating expansion of Autodesk's state-of-the-art Pier 9 Workshop along San Francisco's Embarcadero waterfront. The opening event included short talks by CCA Dean of Architecture Jonathan Massey, project leaders Marcus/Ikeda/Jones, Noah Weinstein and J. Sassaman of Autodesk, ecology research partner John Oliver of Moss Landing Marine Laboratories, and fabrication research partner Bill Kreysler of Kreysler & Associates. The exhibition will be up until May 1; see the Gallery website for hours. For more information on the ongoing Buoyant Ecologies research project, see this link.